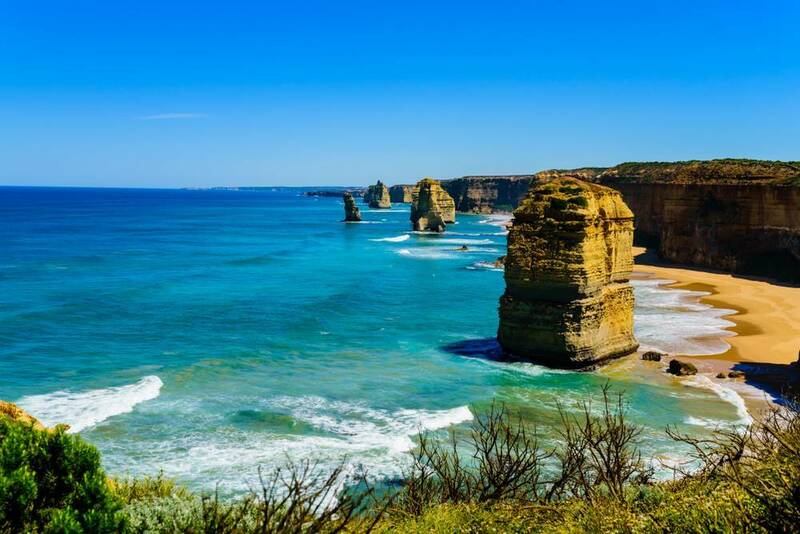 As we edge closer into summer, the Great Ocean Road calls all travellers who are keen to explore the spectacular coastline. And this 5-day journey from Melbourne to Adelaide definitely makes the most of it. Drive from Melbourne to Torquay for an early morning surf and grab a sandwich or house-made pie at the Torquay Larder after you’ve worked up an appetite. If you’ve still got the surfing bug, you can catch more waves at Fairhaven and Eastern View along the way to Lorne. In Lorne, visit the galleries and boutiques along the main street. If you book well in advance, you can catch dinner at fine-dining restaurant, Brae. Enjoy breakfast on the banks of Erskine River at Swing Bridge Café before journeying on to the 12 Apostles and Loch Ard Gorge. If you’re after a better view, you can’t beat the scenic helicopter ride. Continue along Shipwreck Coast to Warrnambool or Port Fairy where you can stroll around the fisherman’s wharf and whitewashed cottages. An hour drive from Port Fairy, you can watch fishing boats unload their catch on the waterfront in Portland. Another 10 minutes’ drive away is the Cape Nelson Lighthouse, which is perfect for a photo opportunity. In Cape Bridgewater, you can take the 2.5km seal walk and even book a cage snorkel to get up close with them. Back on the highway, across the South Australian border, stop at Mt. Gambier. Take the trail around the Blue Lake, it turns Cobalt Blue in summer. Continue driving to Coonawarra to sample some of the famous Cabernet Sauvignon produced at the many wineries. Drive half an hour from Coonawarra to the World Heritage-listed Naracoorte Caves National Park and visit the limestone caves. Another three-hour drive will bring you to Strathalbyn, where more than 30 heritage-listed buildings sit on the banks of the Angas River. In Port Elliot, swim at Horseshoe Bay or surf off Boomer Beach before arriving in Victor Harbor. The famous horse-drawn tram will take you along the causeway to Granite Island, which is home to a colony of penguins. Travel through the rolling hills of Mount Compass to the McLaren Vale wine region, 50 minutes north of Port Elliot. Visit galleries and taste wine at one of the 45 cellar doors. Another 45 minutes’ drive in central Adelaide, wander the boulevard of North Terrace and explore the South Australian Museum and Adelaide Botanic Garden. Take a trip to Glenelg Beach for a seaside stroll and enjoy some fish and chips on the beach.